GREAT BOAT TO GO FISHING. Yamaha engine 150 hp at 4 times; Bimini; Electronic instrumentation from Garmin. 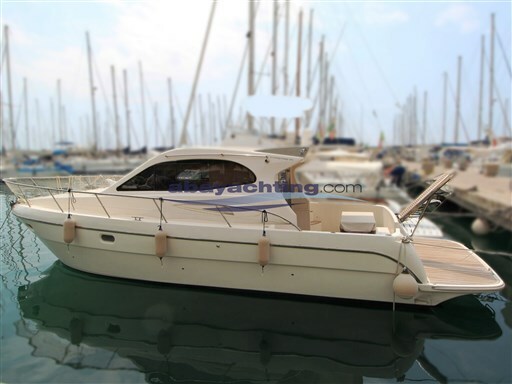 Beneteau Antares 7.80 used. Version 4 beds. Shipbroking company authorized. "REF ER". GREAT BOAT TO GO FISHING. Yamaha engine 150 hp at 4 times; Bimini; Electronic instrumentation from Garmin. Beneteau Antares 7.80 used. Version 4 beds. Shipbroking company authorized. "REF ER". See the complete profile directly on our internet site ABAYACHTING. Photos of the boat for sale are all original.